How Long Will It Take You To Save For A 10% Down Payment? How Long Would It Take You To Save For A 10% Down Payment? Saving For A Mortgage Down Payment? It’s a common refrain among today’s renters and first-time home buyers. It’s also one which won’t likely end soon. According to a study from Hanley Wood Data Studio at BuilderOnline.com, assuming median income, median home price, and median rental costs, today’s typical first-time buyer would require more than 8 years to save ten percent for a down payment on a home. And eight years is just the average! For renters living in some of the least affordable states, such as Hawaii and California, the time required to squirrel away 10% exceeds two decades. Thankfully, low- and no-downpayment mortgages remain available. You actually don’t need a 10% down payment in order to purchase a home. You don’t need to make a twenty, or even 10%, downpayment on a home these days. Mortgage lenders have become better at assessing risk, and will make loans to borrowers who lack large savings but, otherwise, present well. If you want to buy a home but don’t want to save 10%, here are just some of your options. You can get mortgage rates for any of them from just about any U.S. mortgage lender. HomeReady mortgages are backed by Fannie Mae and are available from nearly every U.S. lender. The HomeReady™ mortgage allows a downpayment of just 3% and borrowers with below-average credit scores are eligible for approval. Downpayment monies for the HomeReady™ loan can be gifted from a family member; and income from all members of a household can be used to help qualify — even the income of parents, children, or boarders. Click for a complete Q&A on the HomeReady™ program. FHA mortgages are mortgages insured by the Federal Housing Administration. FHA loans require a down payment of 3.5% at minimum, and allow credit scores of 580 or lower. FHA mortgages cannot be used to purchase vacation homes or investment properties, but you can use an FHA loan to finance a multi-unit building if you plan to live in one of the home’s apartments. The Conventional 97 mortgage is a relatively new program and is backed by Fannie Mae and Freddie Mac, two government mortgage entities. Typically best-suited for buyers with strong credit profiles, the Conventional 97 requires just 3% down on a home, and the downpayment may be a cash gift from a family member. VA home loans are for buyers with a military background. Backed by the Department of Veterans Affairs, VA loans are part of the G.I. Bill’s Veterans Benefits. VA loans are typically available at mortgage rates well-below average, so even if you plan to make a large downpayment, put the VA loan on your short-list. 100% financing is allowed via VA-approved mortgage lenders, and mortgage insurance is never required with the program. USDA mortgages are sometimes known as “rural loans” because they’re backed by the U.S. Department of Agriculture and available only in less-densely populated areas. Big cities won’t have USDA loan eligibility, but many suburbs and exurbs will. USDA loans are available as no-money-down and must be used to purchase a single-family, primary residence home. You cannot finance a second home via a USDA-approved lender. Beyond low- and no-downpayment mortgages, there are other ways to buy a home with less than 10% saved. The “family mortgage” is one example. Via the Family Mortgage, you borrow — literally — from your family. By skipping the bank and the bank’s approval guidelines, you can get loans from a family member on your own terms. There are some “gotchas”, however, with the Family Mortgage so make sure you don’t get tripped up by the IRS. The tax bill could be extensive. Beyond the family, your Uncle Sam may also be able to help. Downpayment assistance programs are available to eligible buyers nationwide and the aid will usually come in the form of an outright grant (i.e. nothing to pay back), or a low- to no-interest loan. Check with any mortgage lender regarding your eligibility, and what’s available in your state. Do you plan to live in your home for at least 36 months? If you do, you may be eligible for the Good Neighbor Next Door program via the FHA. Available to teachers, paramedics, police officers and fire fighters only, the Good Neighbor Next Door program gives access to homes at half price — HALF PRICE! — with only $100 required at closing. Read more about Good Neighbor Next Door here. Eligible buyers can receive grants of up to five percent of the mortgage amount for down payment assistance and closing costs in certain states. Qualifying income of less than $95,500. A home price equal to, or lower than, $400,000. These are achievable standards for many of today’s buyers. 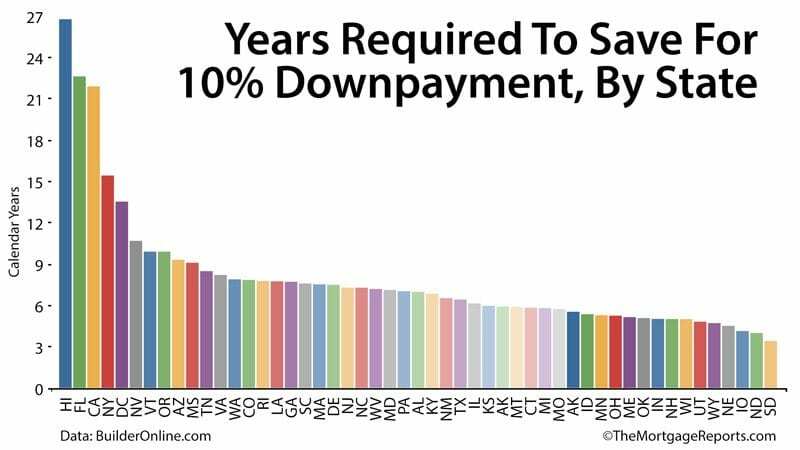 Buyers without 10% down can also try for state-sponsored downpayment loans. For example, Washington State’s Home Advantage program lends up to four percent of the first mortgage amount at zero percent interest. Income limit for this program is $97,000. Other states offer down payment loans that only need to be repaid when the property is sold, refinanced, transferred or abandoned. You don’t need a 10% down payment to purchase a home. There are low- and no-downpayment programs available, plus a bevy of government-sponsored programs to help with your homeownership.